And now for something completely different…sort of. This year, I received five poetry books with CDs, so I was forced to take note. At first, the technophobe in me scoffed and sneered since, as a critic, I read books, I don’t listen to them. Those “audio books” are for people who don’t have interest, time or energy to engage intimately with the page. Those spoken word CDs are for people who appreciate that the performance on the stage is better communicated through a live reading than through print. Those recordings of Wallace Stevens and Gertrude Stein are for us poetry nerds who want to hear the voices of ghosts. But what, pray tell, can a CD in a poetry book have to offer nowadays? I came away more convinced that a CD worked for the project, only if it proposed something new or different. It’s like the “Extra Features” feature on DVDs, which make the purchase of the video worth it because besides the film, the buyer gets interviews, process notes or trivia. In fact, it has become such an expectation that I took that same hunger with me when I went through the trouble of opening the book, unlocking the disk, and then playing it on the computer. After all that, I wanted the effort to pay off. And in most cases, it did. Mia Leonin, Unraveling the Bed, Anhinga Press, 2008. Poetry accompanied by music doesn’t always work because the musical composition tends to outshout and/or outshine the delivery and/or the language of the poem. But that’s not the case here. The CD, clocking in at under 24 minutes, provides six tracks—six of Leonin’s poems with music composed and produced by Carlos Ochoa, in-demand Peruvian musician living in Miami. Ochoa uses the keyboard, guitar, flute and the Andean moseno (a bamboo instrument) to guide the readings (or was it the other way around?) through quiet, yet beautiful and powerful performances. Oni Buchanan, Spring, University of Illinois Press, 2008. A 24-page section of the book, the explanation of “the Mandrake form” takes up unnecessary space, and so do the print versions of this kinetic form that shifts and reconfigures as words and letters are lifted out of the first versions of the text to unlock newer versions. 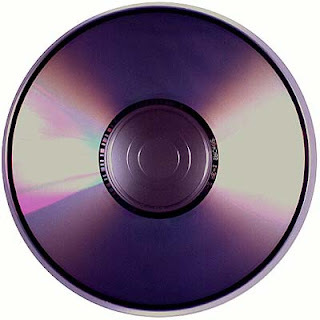 It’s better (and easier) to simply slip the CD-ROM into the computer and click away. We are able to see the three “Mandrake vehicles” change before our eyes. A few of the words even have an extra kick, like the word cartoon whose o’s become exaggerated eyes momentarily before it settles at the bottom of the page. It’s a nifty feature without becoming a gimmick. Juan Felipe Herrera, Half of the World in Light: New and Selected Poems, University of Arizona Press, 2008. This dynamic Chicano poet can only be appreciated fully by listening to him recite his work. On the occasion of this career milestone, the 24 tracks (clocking in at just under an hour) also include snippets of conversation by Herrera, giving insights into the origins, contexts or stories behind the selections from a body of work that spans four decades. Herrera’s voice is relaxed, comfortable and pleasing to the ear, and it’s refreshing to listen to his commentary, which is unscripted and improvised, just as it would be at a live reading. Stephanie Strickland, Zone: Zero, Ahsahta Press, 2008. The cutting-edge work of this poet is just perfect for the CD-ROM feature that’s included with the book. There are two pieces that illustrate Strickland’s “pioneering investigation into how digital media and poetry interact,” and one of these has three “navigational methods” (random, complete and link-driven) that offer distinct and fascinating angles into the same poem. The complexity of the production might frustrate those who are less familiar with the technological terrain, but that’s Stephanie Strickland—challenging and always innovative. Li-Young Lee, Behind My Eyes, W. W. Norton, 2008. Because of all the aforementioned possibilities, the standard “read the title, read the poem” CD came across as slightly disappointing and lacking in imagination. The 22 tracks (clocking in at 1 hour, 13 minutes, 12 seconds, for those keeping count) is really in service to fans of Lee’s soft-spoken, yet powerful deliveries of his verse. But the press could have upped its game by throwing in an interview at the very least since Lee is known for his articulate, compelling commentary on politics and poetics. Better luck next time, Norton. "SMALL PRESS SPOTLIGHT: POETRY BOOKS (CD INCLUDED)" was posted September 27, 2008.